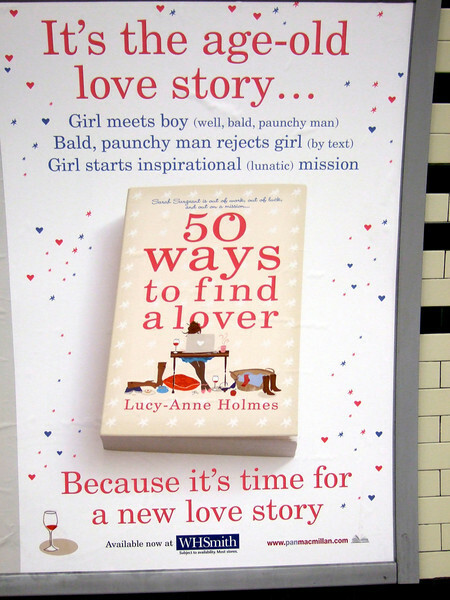 When I was in London Easter 2009, I saw an ad for this book in the Underground and took a picture to remember it, because I liked the title. A few weeks ago I noticed the picture again and, as it was just the time for some mindless entertainment, bought the book on the Orinoco Market (or the like) for € 0.01 (yes, really!) plus € 3 for shipping. That should be worth it, I thought. And it was! This is a nice, light comedy, reminding me a bit of Bridget Jones, but maybe even funnier. The (SPOILER!) happy ending with the twist is not a real surprise any more when it finally happens, but (oh the irony!) that was to be expected. This is not the first of Crichton's books I have picked up for a second time. I really liked it on first reading for its fast-paced story-telling and, other than, for instance, the Da Vinci Code, for the story itself. That is what Crichton does (or rather did) so well: write gripping and highly entertaining stories that are not stupid. They may not be the most distinguished and sophisticated art, but page-turners that I don't feel bad about afterwards. Anyone who, like myself, is not into quantum physics will not really notice the boundary between fact and fiction when that drivel about quantum effects and time travel comes up. This makes the willing suspension of disbelief easy, and it doesn't get into the way of the story. Well, at least for me it works, as the story is good in distracting the reader from the technical things. Have you ever faced a really dangerous and angry knight in a joust who will probably try to kill you as soon as he sees a chance? I thought you haven't. Apart from the ebooks I read two paper books during this vacation. Oliver Lepsius, Reinhart Meyer-Kalkus (eds. ): Inszenierung als Beruf. Der Fall Guttenberg. This was the premier political scandal in Germany 2011: After a crowd of anonymous Internet users had proven that his doctorate dissertation had been mostly copied from other sources, the german minister of defense, Karl-Theodor zu Guttenberg, had to step down due to public pressure. "His" university of Bayreuth held a symposium about the case, and the participants' contributions are included in this book. Extremely interesting essays from a number of top intellectuals. Berndorf writes whodunit novels placed in the Eifel region of far western Germany, and this is one of them. Like Paretsky's, his protagonist, an aging journalist living on the country, is beaten up in every one of the books, uncovers a major conspiration, and succeeds only with the generous help of his friends. But like hers, his books have a certain (though different) charm about them that I happen to like. A review by Russ Allbery and subsequent discussion pointed me to this book. I agree totally with him, so no need to repeat everything he said. This is indeed an immensely interesting book. The best thing about it is that it made me reflect about my own programming as well. For instance, with all these illustrious role models doing the same, I now feel less guilty about some things that I do myself, such as not diving deeper into the intricacies of debugging using gdb and things, but just going the easy way using debug printouts to learn about the state of my program. Or just rewriting passages of my code that I don't really understand instead of finding the bug and fixing it. I also agree with Russ's rating of the book, 10 of 10 points. And apparently it is quite a success, too; when I recently mentioned the book to two of my colleagues, both had already read it. In early 2002 Janie, in her later 30s, decides to separate from her husband, for whom she has lost the respect, although not the love. When she wakes up the next day, she realizes she is back at her parents' home and 16 years old, but still with the knowledge and consciousness of her previous existence. After the initial confusion she settles into her new old role of 1981 and prepares for making everything better. That includes making some money from the knowledge she has (by buying shares of IBM and Tesco), but also saving Lady Di and Prince Charles from their ill-fated marriage, making more mature decisions regarding the people in her life, and above all preparing for the day when she meets her to-be husband, with the aim to make their relationship better as well as him a better man. As the reader has suspected long before, this does not work out. Instead, her life takes a quite different course. All the while she wonders what the exact purpose was of sending her into the past -- there must be one, as there are some mysterious people involved in her fate, but instead of putting her in the know, they just tell her to wait for later instructions all the time. I found the book a bit disappointing at the end. A big surprise was not totally unexpected as such at that point, but it did much less to wrap up the whole story than I had hoped for. Anyway, that was some nice light reading, solidly entertaining and quite funny in parts, although not much more. Another Lisp classic that I have wanted to read for decades. I have only just begun, so I have not much to say about it except that it is out of print and I had to buy it through a used-book merchant and not exactly cheap, and that I hope to find a few things in it that can help me to make my new Lisp interpreter better. This one I have been wanting to read for ages. When I finally bought it this summer, I was not so intrigued, though. But that came when code for a Lisp interpreter began to pour out of my brain in fall (see http://hic-sunt-lambdas.de/), and the vacation in November was perfect for reading this book. It takes a bit of getting into it, because the terminology is different from the later established one in some parts. But then there is all that which is so familiar to anyone who loves Lisp. And much more about implementation details than I had hoped for. Not that any of those is really applicable to my own implementation, though, but it has gives me some ideas that I might like to follow. "We children of the war children -- the generation in the shadow of the second world war" is the translation of the title. Ustorf shows how people whose parents were children in the war or post-war period can still be strongly affected by war traumas passed on by their parents. I read this because because I was curious if this is an issue for me, too. After all my parents were born 1937 and 1938, and my mother and her family even refugees from East Prussia. But after reading this book I can say that I am apparently unaffected by these transgenerational traumas. There is this aspect of having no real Heimat, a region where I grew up and am familiar with everything, because my parents moved around a lot when I was a child. But while this is typical for war and refugee traumas to some degree, both my parents' families tended to move around even before the war, so this is unlikely to be a particular consequence of the war in my case. Science fiction from the early 1940s. I found this book first in a dumpster in Vienna on my summer trip 1981, and it was probably the first novel that I read in English on my own. I was quite impressed by the book and wanted to use it as the examination topic for the oral Abitur in case I needed it, but it turned out that the written exam was in line with my previous grades, so I needed no oral. So the teacher gave me back the book, which he had borrowed to prepare himself for the oral. A co-student who was around saw the book, was curious, borrowed it on the spot, and never gave it back. Now, 28 years later, I read the book again. Sirius is a dog, the crowning result of a scientist's effort to improve the brain capacity of animals. Sirius, with human-like intelligence, is brought up together with the scientist's youngest daughter, which creates a strong bond between these two unequal non-siblings. Sirius grows up to be a very insightful person, is examined in detail by scientists in Oxford, and later makes a career in sheep farming. Stapledon makes this book very interesting by exploring an immense number of consequences -- philosophical, practical, sexual, social, ethical -- of a dog being so intelligent. And it is entertaining, too. Jones was the head of scientific intelligence at the british intelligence service during the second world war, and this book is an account of his efforts in that time: anticipating the german efforts in scientific warfare based on intelligence findings, and developing countermeasures. The primary technical areas were bomber guiding systems, radar, and the V1 and V2 weapons. Much of this is very interesting. His detailed accounts of the internal politics of british intelligence are a bit tiring at times, but maybe this only reflects how he himself has felt about these issues. Lua has been in the back of my head for a while, cannot remember why. Now that I have looked at it a bit by reading this book (and the Lua 5.1 Reference Manual, which is refreshingly short), I seem to be quite fond if it. I had no opportunity to do much with it yet, but there are quite a few things to like. Functions are first-class values. Functions can be defined as closures. Environments are (kind of) first-class values, too. The syntax is a bit like Modula (while ... do ... end and the like). Typing is dynamic. Variables are created implicitly, which admittedly simplifies a few things, but I don't like it very much. Nothing of these darned $'s and %'s and @'s of Perl, which is good. And not its irregularities of syntax, which is much better. Lua is probably too small for irregularities anyway. Tables can have metatables that control accesses to existing and particularly to non-existing fields; this is put to some interesting uses. For instance, packages and OOisms are done through tables as well, openly, but with some clever syntactic sugar around it. I like that. Prototype-based inheritance, not real classes, although you can pretend they are there. Well, yes. Now I should probably go and do the canonical exercise, write a Lisp interpreter in it. Give me the time, someone, please. One of Paretsky's V. I. Warshawski detective novels. I read most or even all of them some 10 years ago and liked them a lot. Now for some reason I got the idea of reading one again, and still liked it. Former music producer Levitin became neuroscientist out of curiosity how music works in the brain. For my taste he explains too much, and tells too many not-too-relevant stories, but nevertheless the book is full of interesting facts. So that is the reason why rock stars are considered so eminently shaggable by so many. I knew I should have made a bigger effort to go into that direction myself. Current Music: Oscar Peterson's "We get Requests"
Triggered by the (awful) german film made of "Death at La Fenice" I read these two books again. Really good, especially Acqua Alta. This book is not about a marriage, but about Berlin's district Wedding, like the (in)famous Neukölln one of the poorer ones, with a large percentage of unemployed people and of people of foreign, mostly turkish, descent. And like Uli Hannemann's "Neulich in Neukölln" this is a collection of short stories. But where Hannemann is bitter and cynical, Evers has some sarcastic fun with the more absurd facts of unemployed life. This is still humourous, and I enjoyed it.